The Dhorpatan Hunting Reserve is situated in Rukum, Baglung and Myagdi Districts, and is the only hunting reserve in Nepal. While it is possible to arrange game hunting trips in controlled areas, this is certainly not the only reason to trek here. 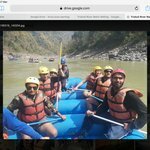 In fact, the wild beauty, interesting Magar culture, abundant animal and bird life, views of Dhaulagiri and other peaks in the Western Himalayas, and lack of foreign visitors should make one wonder why killing the wildlife while exploring this region is necessary at all. Dhorpatan was once rather challenging to get to and required a helicopter ride and a long trek in. This isn’t the case any longer, with the extension of Nepal’s road network, yet it is still under-explored. In fact, only around 100 foreigners visit each year. This means that the ethnic Magar inhabitants of Dhorpatan are very curious about foreigners, and are welcoming. While camping and tea house accommodation is the staple while trekking here, small groups may also get to stay with local families in some areas. Trekkers don’t need to be super-fit or experienced to enjoy this area, but a sense of adventure is necessary as much of the food and accommodation is basic. Treks to Dhorpatan typically last around ten days, starting and ending in Beni, a couple of hours’ drive from Pokhara. Hunting of certain species is only allowed in some areas, but fortunately, the wildlife isn’t isolated to those areas. Dhorpatan has an abundance of blue sheep, as well as the goat-like ghoral, the Himalayan tahr, partridges, and various species of pheasants, including Nepal’s colorful national bird, the Danphe. It’s even possible to see elusive leopards, including snow and forest leopards. 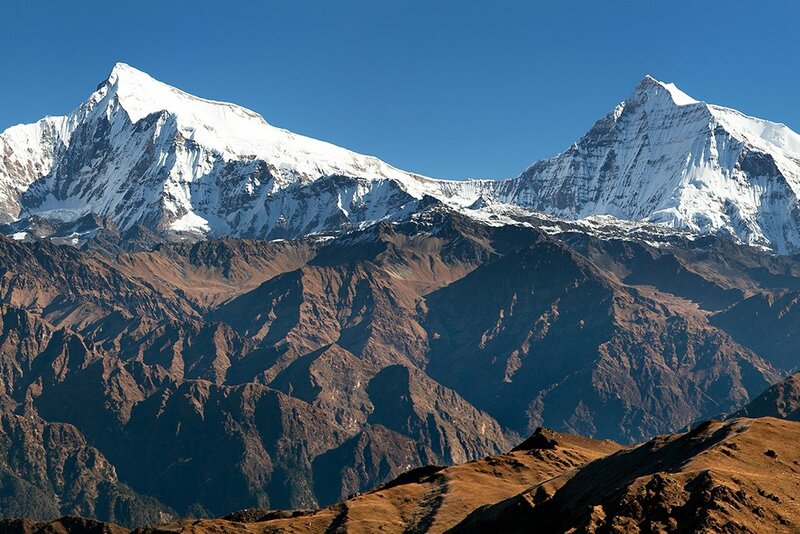 On the trek, you will pass through rhododendron and oak forests, and see views of Dhaulagiri (8,167 m/ 26,795 feet), Gurja Himal (7,193 m/ 23,599 feet), Churen Himal (7,385 m/ 24,299 feet), and Putha Hiunchuli (7,246 m/23,773 feet). One variation is to include a trek through Dhorpatan Wildlife Reserve as part of the Upper Dolpo trek. This starts in Beni and ends in Juphal (or vice versa). This trek takes around 25 days. 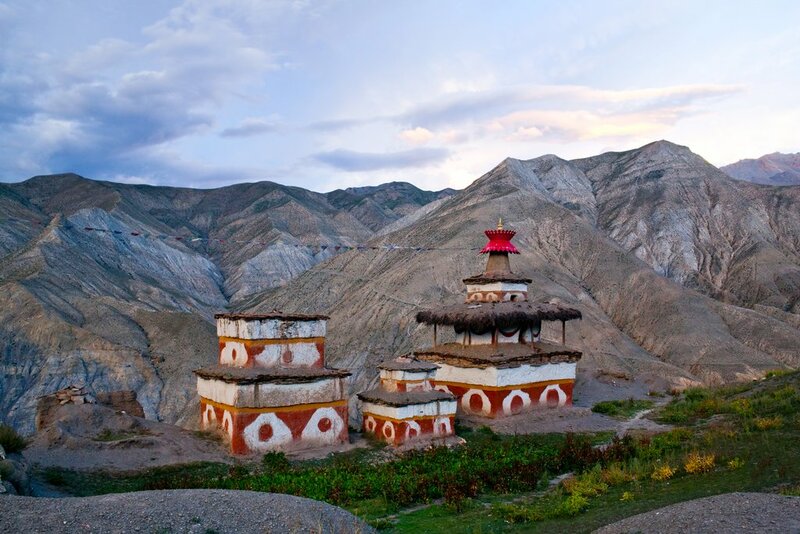 It requires a pricey permit for Upper Dolpo ($500 USD for 10 days) but is a very underexplored region with fascinating Tibetan-influenced culture and rugged landscapes. If trekking between Dhorpatan and Upper Dolpo, there is a three-day stretch in which you won’t pass through any settlements! Dhorpatan is best visited in the peak trekking seasons in Nepal when the weather is at its finest: March to May and September to November. Treks to Dhorpatan typically start and end at, or near, Beni, a town two to three hours’ drive from Pokhara. Beni can be reached by public bus from Pokhara, and the roads are in relatively good condition, but it’s more comfortable to go by private jeep or taxi. If trekking with an agency and guide, it’s a better idea to keep going through Beni on the first day, thus starting the trek in Darbang, a couple of hours’ drive further on from Beni. Despite the remoteness of this trek, it is not especially challenging. The altitudes are not high enough to cause problems for most people (although necessary precautions should be taken to avoid altitude sickness), and most trekkers of a reasonable level of fitness should find trekking in Dhorpatan a comfortable challenge. There is a limited amount of homestay accommodation which may be a good option for small groups. The local Magar people are curious about foreigners, so may also invite trekkers into their homes to eat. Teahouse accommodation is available in some areas after development in recent years but is basic. Most trekkers will need to camp at some point. If you are wanting to try game hunting in the Dhorpatan Hunting Reserve, a special permit must be purchased in Kathmandu or paid through your trekking agency. Entrance to the reserve is otherwise NPR 500 per day. If continuing on to Upper Dolpo, a permit costing $500 USD for 10 days is required.